Bungie has proven that it’s not a one-trick pony - but we can all look forward to some of its repetition issues being fixed in the inevitable follow-up. Dev Chat: Clichés, Bikini Armour, Are Games Art? Dev Chat: What do you do? Everything changed with the arrival of the Traveler. It sparked a Golden Age when our civilization spanned the solar system … but it didn't last. Something hit us, knocked us down. The survivors built a city beneath the Traveler, and have begun to explore our old worlds, only to find them filled with deadly foes. 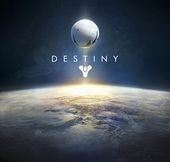 In Destiny, you are a Guardian of the last safe city on Earth, able to wield incredible power. Defend the City. Defeat our enemies. Reclaim all that we have lost. Bring on Hide & Go Seek. Better luck next gen, Guardian. Destiny's April update has "something for every type of Guardian"
25 levels for 45 dollars. No more major paid DLC. Now *this* is Sparrow racing!